Today we put on are wellies - or Boots in my case, and went off to a fantastic place, just a stones throw away from the city. 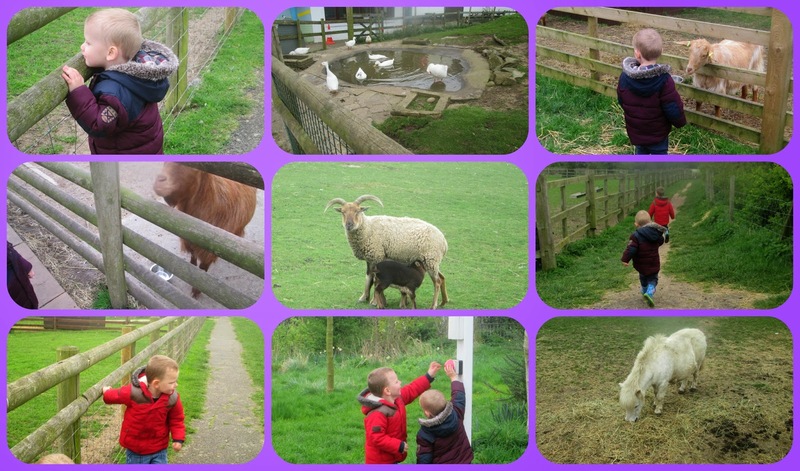 You would never believe in between houses and set on a hill is a little farm, Or a big farm that is for little feet and it is right on our doorstep called Gorse Hill city farm. They have all sorts of Animals, pigs hiding in their pens, turkeys gurgling their happy tunes, Guinea pigs and rabbits having a snooze snuggling inside to keep warm on these cooler days. "whats that noise mama?" "whats the rabbit doing?" "whats that?" he was so excited to see the animals eating the grass and the sheep that were rearing their young "baba" he was squealing and pointing as he is trying to find his footing on the fence. They both ran there little legs off across the field spotting pony's and cows as we went along - finding secret passage ways between fences and bushes, picking up old bits of feed that the farmers had dropped, and trying to feed the already well fed goats. We did manage to end our adventure on the play area - which is surrounded by animal pens Adam still not so interested in the park wondered up and down talking to the animals - Today was a great adventure for us all. The boys even managed to milk a cow - not a real one but they loved it anyway! 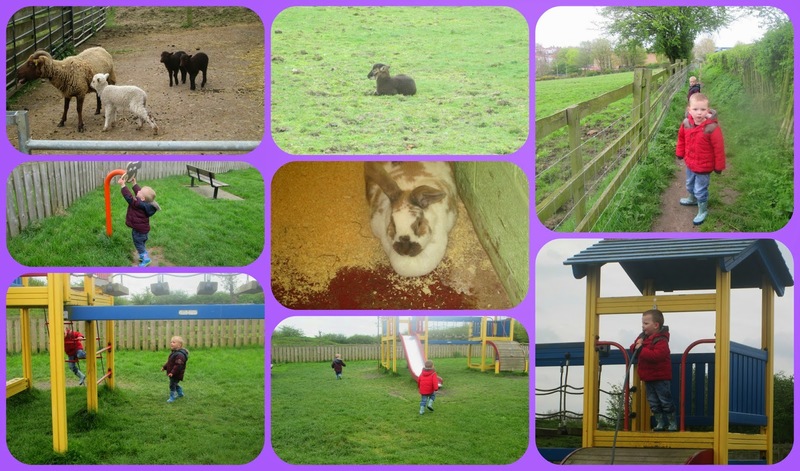 Gorse Hill City farm is a great place for any family, fantastic outdoor fun for any children looking for an adventure amongst animals. Children, animals and play parks are always a great combination and guaranteed fun. It's great to have a little gem like this to visit that's so close too and with Spring there is plenty of new life to coo over. Thanks for linking up and sharing your farm fun with Country Kids. What a great place for kids to learn about farming and where their food comes from!